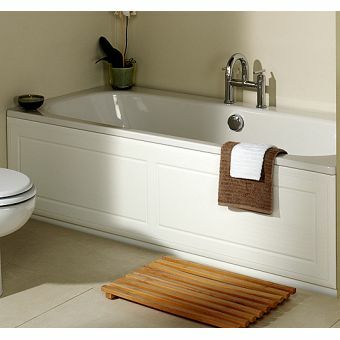 wedi Front Bath PanelsFrom £44.04 inc.VATRRP: £55.06 (Save 20%)Tileable, waterproof Wedi bath panels in lengths of 1800 or 2100mm. Fixing kit option, Wedi rails and washers. 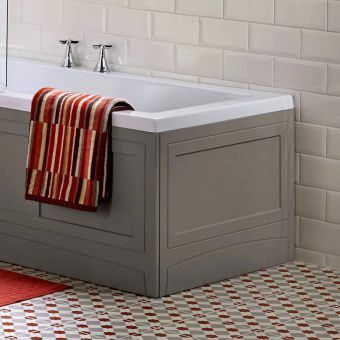 Just what you need to provide the finishing touch in your designer bathroom, the bath panels we carry at UK Bathrooms are specially selected to complement our product range. 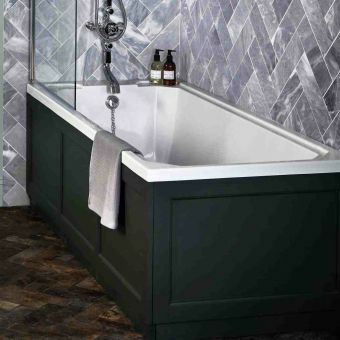 There’s something here to suit every taste and to fit in with different bathroom themes. All our panels are made from hardwearing, high quality materials and are easy to fit. 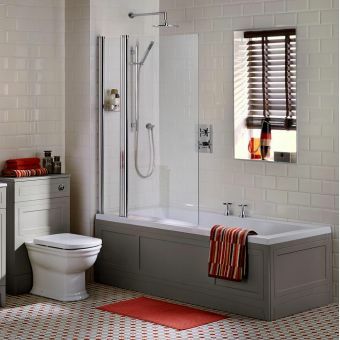 Once they’re in place, the pipes attached to your bath will be out of sight and it will form a complete unit. 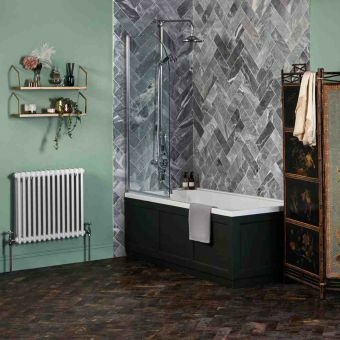 For those seeking a warm, welcoming bathroom look, wood is a superb choice, so we’re glad to be able to offer Imperial Bathroom Raised and Fielded panels, which are expertly crafted and finished in mahogany, oak or pine alongside Roper Rhodes natural oak panels. 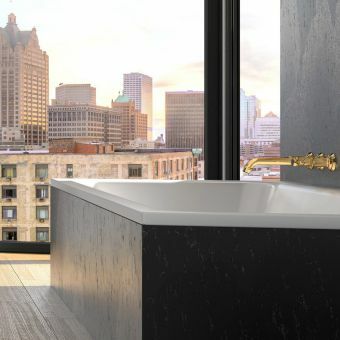 If you’re looking for something more contemporary, consider the striking Imperial Bathroom Cuda metal weave panels, which will give you a look you’re unlikely to find elsewhere. 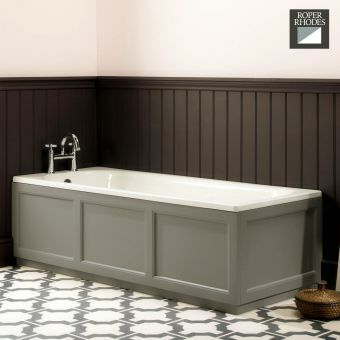 We also have several types of panel that you can paint in order to adapt your bath to your overall bathroom colour scheme, and of course, we have sleek white panels for those who love the classic look. 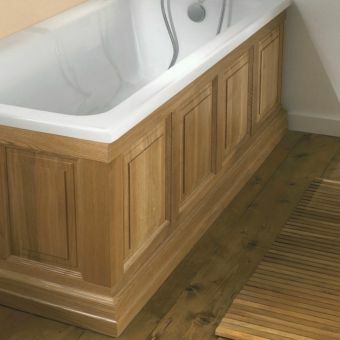 Most of the panels we carry are available in a range of sizes that complement the baths we sell, while others can easily be cut to size. 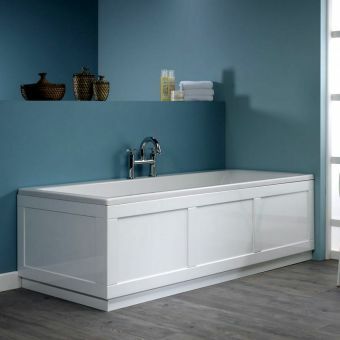 We’re proud of the low prices we can offer on this fantastic set of products and our speedy delivery service means you won’t have to wait to complete the building of your ideal bathroom.